How did life on Earth begin? How common is it elsewhere in the Universe? 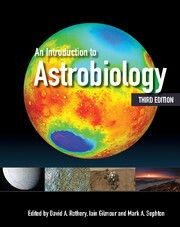 Written and edited by planetary scientists and astrobiologists, this undergraduate-level textbook provides an introduction to the origin and nature of life, the habitable environments in our solar system and the techniques most successfully used for discovery and characterisation of exoplanets. 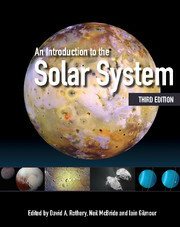 This third edition has been thoroughly revised to embrace the latest developments in this field. Updated topics include the origins of water on Earth, the exploration of habitable environments on Mars, Europa and Enceladus, and the burgeoning discoveries in exoplanetary systems. Ideal for introductory courses on the subject, the textbook is also well-suited for self-study. It highlights important concepts and techniques in boxed summaries, with questions and exercises throughout the text, with full solutions provided. 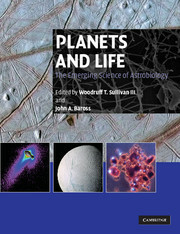 Online resources, hosted at www.cambridge.org/features/planets, include selected figures from the book, self-assessment questions and sample tutor assignments.